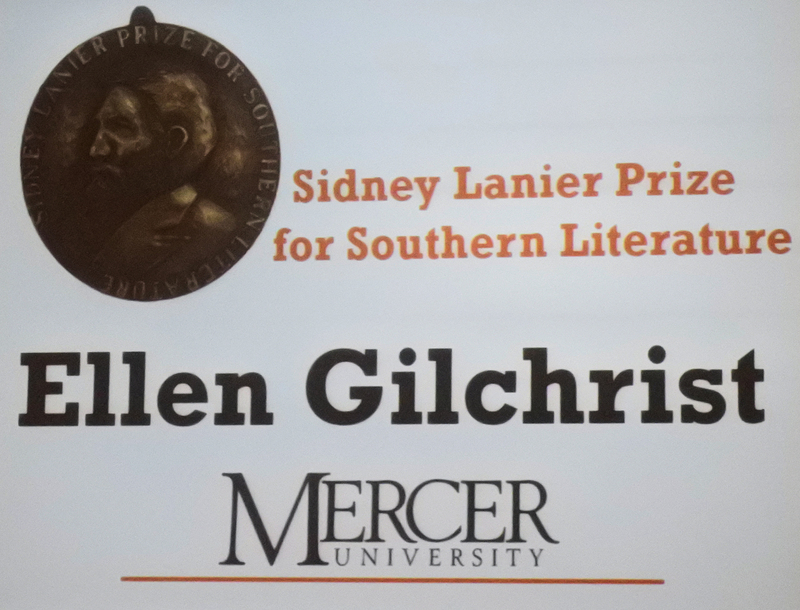 Macon, Ga. – Mercer University’s Macon campus hosted the Sidney Lanier Prize Presentation for Southern Literature to novelist, short story writer, and poet Ellen Gilchrist. The presentation was held in the President’s Dinning Hall and awarded by the Mercer’s Spencer B. King Jr. Center for Southern Studies on Saturday April 22, 2017. Gilchrist spoke with fans who were able to take pictures with the author as well as have books signed. The Spencer B. King Jr. Center examines the complex history and culture of the U.S. South. 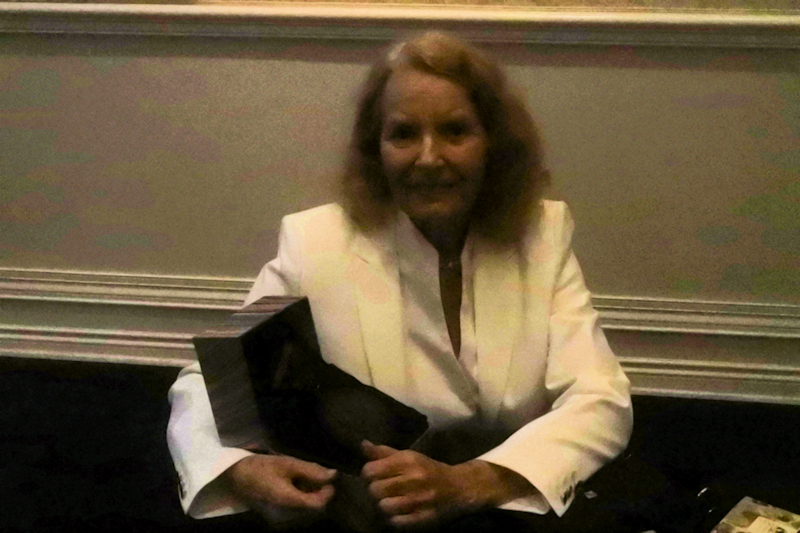 Ellen Gilchrist, the Sidney Lanier Prize recipient for Southern Literature. Photo by Donja M. Harper. David Davis serves as Chairman of the Sidney Lanier Prize Committee that sponsors the award. Photo by Donja M. Harper. The recipient Ellen Gilchrist was born near Vicksburg, Mississippi, and has authored more than 23 books, some she said are not mentioned in her long list of publications. Gilchrist said she grew up on a plantation where much of the work was performed by hired help. Gilchrist said, that she began writing at a young age, and her influences came from family members whom worked as journalist. She earned a Bachelor of Arts degree in philosophy at Vanderbilt University. When asked what advice she can give aspiring authors and writers she recommended Ernest Hemingway on Writing by Larry W. Phillips. Her latest novel Things like the Truth: Out of My Later Years and other works can be found online at www.algonquin.com.